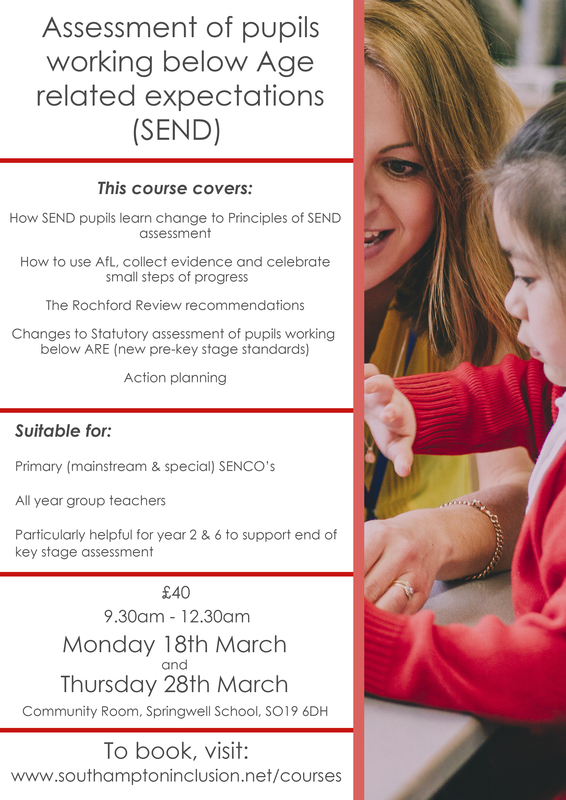 This course is an opportunity for schools to share principles of assessment of SEND pupils. Please be prepared to bring and share evidence/work, current tracking and assessment of a SEND pupil. Print, read and be ready to discuss the recommendations from the Rochford Review and the KS1 and KS2 pre-key stage standards. (Links to these documents will be shared at Session 1). This workshop is aimed at Primary Mainstream and Special Schools. SENCo's, all year group teachers (Y2 and Y6 in particular as this will support end of KS assessment).